There were plenty of potential rejected headlines for this week’s Recap. “Junior Middleweight Beats Light Heavyweight For Super Middleweight Title”. “Teddy Atlas Fellates Francisco Sierra In 3D”. Maybe even “Let The Bodies Hit The Floor”. 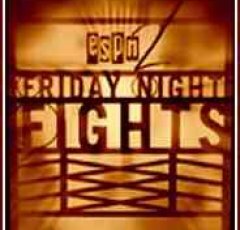 But the main feature of tonight’s Friday Night Fights main event on ESPN2 was what happens when a guy comes in 7 pounds over the limit in the division in which he’s trying to capture a belt. Jesus Gonzales (27-1, 14 KOs), introduced by the ring announcer in front of the hometown Phoenix crowd as “the future IBF super middleweight champion” (tell that to Lucian Bute), came in at 167 pounds. 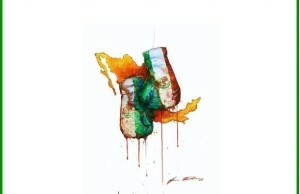 His opponent, Francisco Sierra (24-4-1, 22 KOs), came in at 175, the light heavyweight limit. Considering the NABF super middleweight title was on the line, coming in at 175 did little to dispel the notion that Sierra can’t make the weight at 168. 20% of the purse and Sierra forfeiting his right to gain the belt with a win hardly seemed fair to Gonzales, who was fighting with a size disadvantage throughout the night. Not that it mattered, however. Gonzales came out from the opening bell looking like the faster, more technically polished fighter, a testament to his great amateur career (which included four wins over Andre Berto) and lifelong status as a pugilist. Sierra, who had to lose 12 pounds on five days’ notice even to get to the light heavyweight limit, showed signs of his lack of conditioning during the entire fight, going down in the fourth from a body shot. Only a wayward sweeping right hand by Sierra in round five kept this fight from being an even wider decision than it turned out to be. The judges had it 117-109, 116-110, and 115-111 for Gonzales, The Boxing Tribune had it 117-109, and Teddy Atlas had it 116-111 (with the sixth round scored even). Sierra knew what he was getting into when he took the fight on short notice. He expected to be able to pull the same stunt against Gonzales that he did against George. The Arizona commission and FanBase Promotions should be absolutely ashamed of themselves for aiding and abetting Francisco Sierra’s payday tonight. 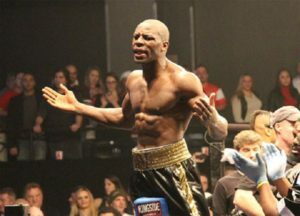 When he came in that far over the contracted weight, he should have given up 10% of his purse for every pound over the weight and told that he cannot take a super middleweight fight again until he can prove that he can weigh in at least plausibly close to 168 pounds. This could have gone a lot worse than it did, and Jesus Gonzales deserves extra credit for beating a guy who ought to pick on someone his own size—like light heavyweights or even cruiserweights. Off of the soapbox, the co-feature was a fun, action-packed fight, as we saw Yuandale Evans (15-0, 11 KOs) smack around Emmanuel Lucero (26-7-1, 14 KOs) for six rounds of a scheduled eight-rounder. A delicious knockdown in the first, one in the second, and then a sensible dinner of two more knockdowns in the sixth led to a Win-Fast diet for Evans and some good exposure on national television. Lucero once fought Manny Pacquiao; this Lucero is a far cry from that one-time prospect and has likely relegated himself to journeyman status, an opponent for prospects on the rise rather than a great fighter himself. The sideshow attraction was as action-packed as the big-ticket fights were tonight. Canada’s Janks Trotter (5-0-1, 5 KOs) was quite possibly the palest man in all of Phoenix this evening, but his skin was the only thing light about him, as his punches landed heavily upon the face of Arturo Crespin (6-2-1, 2 KOs). This was actually a rematch of a fight from March in the same arena; that fight was declared a technical draw due to a cut caused by an accidental clash of heads. Tonight’s fight was far more decisive, as Trotter appeared to land two punches, one to the front of the head of Crespin to put him down, then as he was falling, a glancing blow to the back of the head to put him out. Credit goes to the ESPN camera people; only when seeing the slow-motion replay did it become apparent that the rabbit punch did not land cleanly. Things may have gone far worse for the neurological health of Arturo Crespin had the second punch found its mark with full force. Next week, Friday Night Fights features top-ten junior middleweight Pawel Wolak (29-1, 19 KOs) taking on Delvin Rodriguez (25-5-2, 14 KOs) from the Roseland Ballroom in New York City. Welterweight Raymond Serrano (15-0, 8 KOs) is scheduled to fight in the co-feature against an opponent yet to be determined as of this writing. 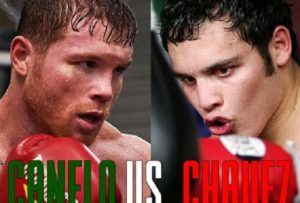 The fights air on ESPN2 and ESPN3.com at 9 PM Eastern/6 PM Pacific. The Boxing Tribune will have a preview and recap of the night’s action. Fox Doucette covers Friday Night Fights for The Boxing Tribune. 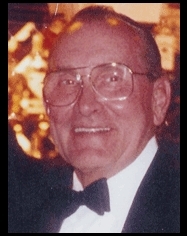 His column, The Southpaw, appears on Thursdays. He’s dying to know what Jesus Gonzales did to piss Teddy Atlas off, since Atlas was in the tank for Sierra with his commentary all night. Fan mail, hate mail, and punches to the face from Alexander Povetkin can be sent to beatcap@gmail.com.